Meet the Iron Rod by Welderup: A 1947 Federal truck with a customised i-beam frame and twin turbos fitted. 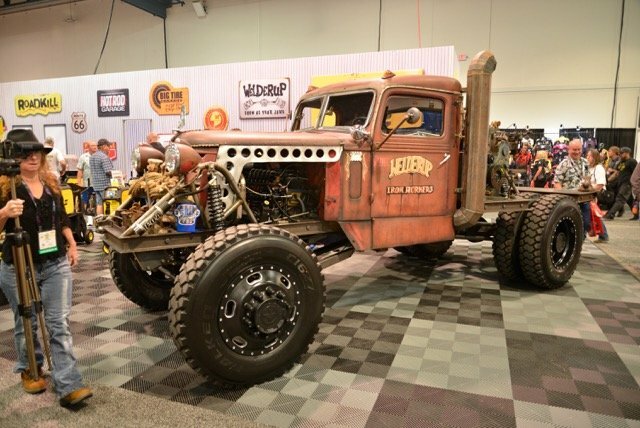 Welderup is a complete custom fabrication shop specialising in one-of-a-kind vehicles located in Las Vegas, Nevada, USA. The Ultimate Welding Machine “The Iron Rod” was built during Season 4 of Vegas Rat Rods TV series on the Discovery Channel and was exhibited at the SEMA show, at the Las Vegas Convention Centre.